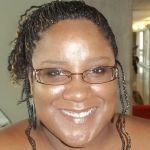 A native of Indianapolis, Indiana, Michelle Dartis is a freelance writer who currently serves as a book reviewer for the American Library Association/GLBT-Roundtable’s online newsletter. She has also served on the editorial board of The Indianapolis Star’s IN-Touch blog and for The Village Griot, an online newsletter publication of the Asante Children’s Theatre of Indianapolis. A lifelong learner, Michelle has a bachelor’s degree in social work and a master’s degree in library science, both from Indiana University. In October 2011, she began a second graduate program in higher education, specializing in leadership for student success. Michelle completed her degree in June 2013 with a 4.0 grade point average. Michelle is the recipient of various awards, including the Indiana Librarians Leading in Diversity MLS Fellowship Project and the American Library Association/Spectrum Institute REACH 21 Scholarship Initiative. She has over twenty years of professional experience in mental health and developmental disabilities, most notably as a Qualified Mental Retardation Professional. In 2009, she co-founded and served as the vice president of the Indianapolis Book Festival, Inc., a 501(c)(3) non-profit organization whose goal is to promote reading and improve literacy in the Indianapolis area. She served in this role until moving to Kalamazoo, Michigan in September 2012. In August 2013, Michelle accepted an instructor position at Spring Arbor University where she will begin teaching English and writing and research classes in the fall of 2013. Michelle is also working on her first novel, which she hopes to complete in 2013.